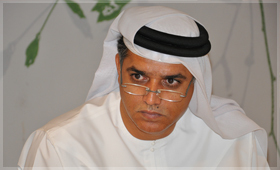 The Council of the Arab League has elected Abdullah Al Mandoos, Executive Director of the National Centre of Meteorology and Seismology of the UAE as chairman of its Permanent Committee on Meteorology. ABU DHABI, National Center of Meteorology and Seismology has signed a Memorandum of Understanding with Abu Dhabi Polytechnic launching the first bachelor's degree and the first diploma in meteorology in the completely Arab region. National Centre of Meteorology and Seismology organize a workshop to discuss the final results of the study to assess and determine the air quality monitoring stations in the Northern Emirates sites in collaboration with one of the most important French companies in this field to carry out this study.